Darren Pettit, Assistant Professor of Music Theory at University of Nebraska at Omaha, received his bachelor of music degree in saxophone performance from the University of Nebraska at Omaha in 1995. He then received a full scholarship to the University of Cincinnati College Conservatory of Music where he received a master of music degree in saxophone performance. He recently completed a DMA in Jazz Studies/Composition at the University of Nebraska-Lincoln. Patrick Brown is Instructor of Saxophone and Music Theory at University of Nebraska at Omaha. Patrick holds a B.M. in Saxophone Performance from Appalachian State University, a M.M. 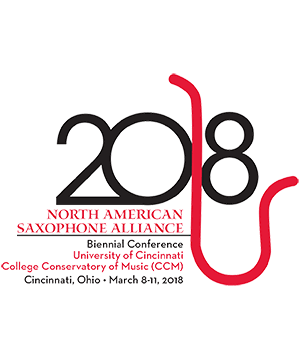 in Multiple Woodwind Performance (Flute, Clarinet, and Saxophone) from Winthrop University, and a D.M.A in Jazz Studies from University of Nebraska-Lincoln. Darren Pettit and Patrick Brown are D'Addario Woodwind Performing Artists. Darren Pettit Soprano Saxophone Darren Pettit received his bachelor of music degree in saxophone performance from the University o . . .